With a new 20.2-megapixel full-frame CMOS sensor, the Canon 1D X Mark II is here to stay. It offers a bump up from the 18MP resolution of the original 1D X. The advanced users’ camera features a fixed optical low-pass filter on the image sensor. It is to help guard against moiré patterns and other aliasing artifacts. Coupling with a pair of all-new image processors, the new DIGIC 6+ to be exact the new “Mark II” version. It chews through full-resolution images at up to 14 frames per second. You can even push the speed even faster up to 16fps when you use Live View. Canon 1D X Mark II sports a built-in Digital Lens Optimizer function. The advanced level DSLR can now apply lens-specific diffraction compensation. You now enjoy chromatic aberration correction, distortion correction and peripheral illumination correction in-camera. It is potentially a big time-saver for the professional photographer. The updated 20-megapixel full-frame sensor in the Canon 1D X Mark II is more than just a regular CMOS chip with a higher resolution. It’s the first full-frame sensor with Canon’s Dual Pixel CMOS AF technology. 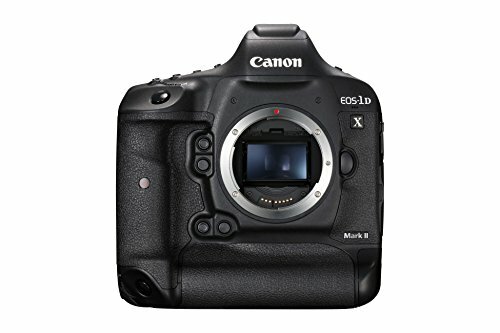 Canon 1D X Mark II set the pace for 1D-series models to have a touchscreen LCD. The 3.2-inch TFT LCD has 1.62-million dots of resolution. You have seven levels of brightness adjustment to select from. The display is fixed, and not articulated for the sake of durability. In use, the touchscreen performs well. It’s responsive and tap-to-focus to select new focus points and set subject-tracking all works smoothly and efficiently. With the Canon 1D X Mark II, one captures Cinema 4K video 4096 x 2160 aka DCI 4K. All at up to 60fps. This advanced DSLR is ideal for high-resolution footage of not only action, sports, and other moving subjects. The camera lets you enjoy 4K video at 30fps (29.97), 24fps (23.98) and true cinema-centric 24.00fps. On the downside, this camera has no UHD 3840 x 2160 option.